Over the past four years, I have had the enormous privilege of working with ROC Restorative, a coalition of groups in Rochester, N.Y., that is transforming the culture and practices of Rochester City Schools. Eagle Rock’s work with ROC Restorative began with big picture planning with the three leaders of the group — Ruth Turner, Jennifer Ghourlias, and Kirsten Pryor. Through phone conversations each week, we co-designed our plan, including visioning with the core ROC Restorative team and conducting “bright spots inventories” of schools that wanted to implement restorative work. One of our most powerful early exercises was using a Back to the Future Protocol to set a vision and goals for the group. The vision was that of a transformed culture that embraces students through relationship-building and promoting positive ways of dealing with conflict. And today, there are myriad examples that show where this vision is becoming a reality. To find bright spots on which to build and highlight successes, we performed numerous inventories at schools. Our team of select Eagle Rock School students and staff — alongside ROC Restorative members — visited schools to conduct interviews, facilitate focus groups, and make observations in order to discover examples of how each school was building community and relationships, as well as examples of conflict being handled in a positive, healing way. The focus on bright spots was twofold. In a tough school district confronting the challenges imposed on urban education, hard-working staff and students benefited from the experience of having their successes recognized. It helped to uplift those who work tirelessly day after day, especially since they often hear negative feedback about their work. But this recognition wasn’t just a feel-good measure. Instead, it was an example of Eagle Rock’s Professional Development Center being effective through the use of an assets-based philosophy to change. When we identify successes that are already working in a specific context, they can become models to expand that success and address other challenges. And we discovered so many successes and bright spots. We heard students talking about security guards greeting them at the door and checking in with them to be sure they were OK. Staff members talked about what a difference it made for them to implement community-building circles in their classroom and to use restorative questions when conflict did occur. Students and staff recognized the value of rooms staffed by ROC Restorative members where students could go to cool off and strategize, and generally be cared for and known. 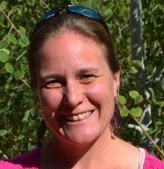 ABOUT THE AUTHOR: Sarah Bertucci the Director of Curriculum at Eagle Rock School and Professional Development Center in Estes Park, Colo. There, she oversees the academic curriculum and learning experiences for students, and supports staff to create engaging, experiential learning opportunities. Prior to her current role, Sarah was a member of Eagle Rock’s Professional Development Center team. This entry was posted in Professional Development Center and tagged Back to the Future Protocol, ROC Restorative, Rochester City School District. “When someone goes out of their way to help you out, it’s hard not to say thanks. Sometimes we need to let them know that what they’ve done will be remembered forever. People don’t realize that some of the smallest things they do make a huge difference in our lives and our livelihood. Even if it’s their job. I wanted to leave you with a big THANK YOU, Sara and Eagle Rock!!! “with lots of love!